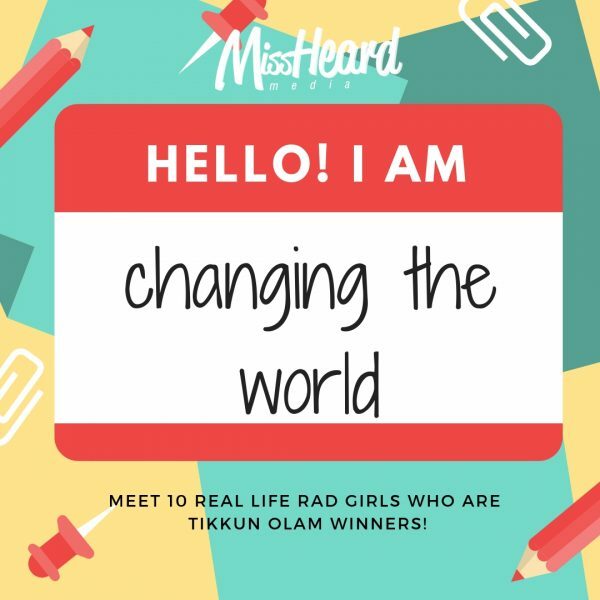 Home/Happy Week/Real Life Rad Girls: Tikkun Olam Award Winners! Why were you inspired you to create/begin your project? I was inspired to create my heroin awareness project, H.A.P.P.Y. (Heroin Addiction Prevents People’s Years) Week, in 2013 after my favorite actor, Cory Monteith died of a heroin overdose. I had always been a huge fan of his and of the show and I was devastated that he had lost his life to his addiction. I wanted to understand more about heroin, so I did some research. I was shocked to learn what an epidemic heroin was right in my own backyard of Bergen County, New Jersey. At that time there were more than 24 lives lost just that year. I knew then that I wanted to do something to create awareness and educate students and parents about this issue. What advice would you give to another young person who wants to see change in his/her community? My advice would be to never give up even if you face difficulties along the way. Believe in what you are doing and your passion will engage others. Our communities need us more than ever to help create change. I strongly believe that we all have the power and ability to make an impact and better our world.